A 1972 Ferrari Dino 246GT, first owned by the Rolling Stones rock star Keith Richards, is to be sold at no reserve at Coys auction in Monaco on Friday 9th May. 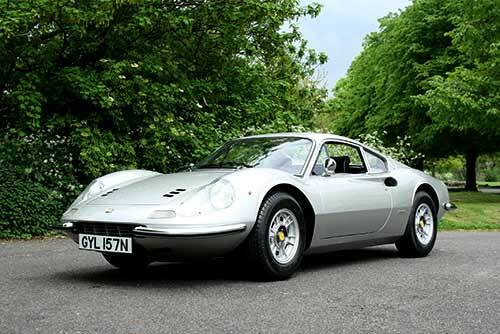 The Ferrari Dino 246 is one of those rare cars that became a “collector’s car” almost while still in production. Establishing itself rapidly as one of the ‘must have’ accessories of the 1970s and gained a fairly star-studded list of owners. This example on offer at Coys car auction must represent one of the most starry as it was purchased new by rock and roll legend Keith Richards in California in February 1972. Keith kept the Ferrari Dino for fourteen years until 1986, and in this time he covered over 25,000 miles. He brought it to the UK in 1975 where it was registered to his address in Munro Terrace in Chelsea, London, and assigned the UK registration number GYL 157N. Accompanying the car is a letter from the Rolling Stones’ manager Alan Dunn confirming Richards’ ownership and mileage up until April 1986. The car has since then spent an extended period in a prestigious Japanese collection. 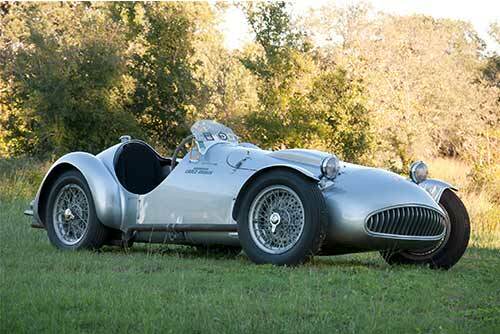 The sale will also feature a 1950 Cisitalia Abarth 204 A Spyder, driven by the legendary Italian motorcycle and racing driver Tazio Nuvolari on at least two occasions in 1950. First, he raced it in the April 2nd Targa Florio, where he was sidelined by transmission failure, and then a week later in the April 10th Palermo Monte Pellegrino hill climb, where he brought it home first in the 1100cc class. This was the final race of Nuvolari’s overwhelmingly diverse and successful career. This car is one of four two seat Cisitalia 204 A Spyder Corsas taken by Carlo Abarth. This car is Cisitalia chassis number 4 and is the last one built in Italy. It was then assigned chassis number 8 by Abarth in the sequence of 204 A’s built and is the first Abarth, documented by the original Certificate of Origin retained by a museum in Italy. The car is estimated at €1,400,000 to €1,800,000. The Cisitalia 204 A was designed by Giovanni Savonuzzi with spare botticella style Spyder Corsa coachwork crafted by Carrozzeria Rocco Motto and adaptable to both formula competition racing and as a road legal sports car when bumpers and lights have been added .